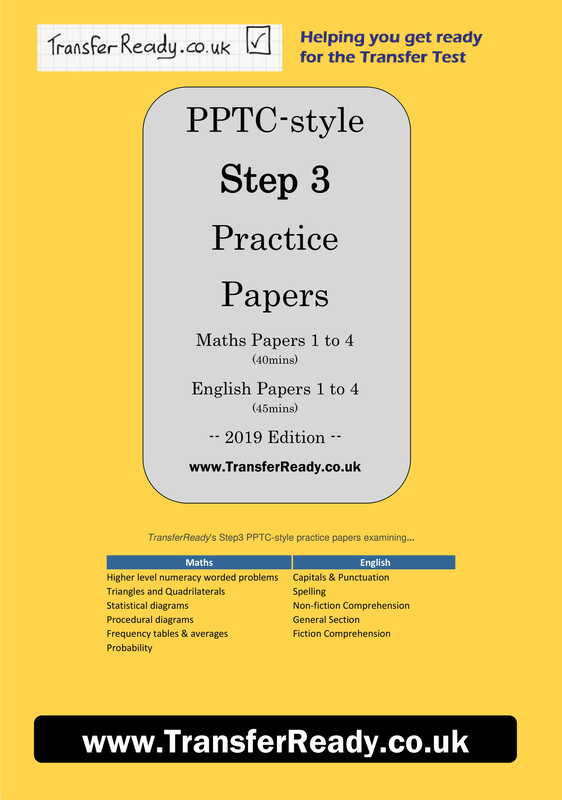 Our Step3 PPTC (GL) style question papers will complete your child’s preparation for the Northern Ireland Transfer Test. 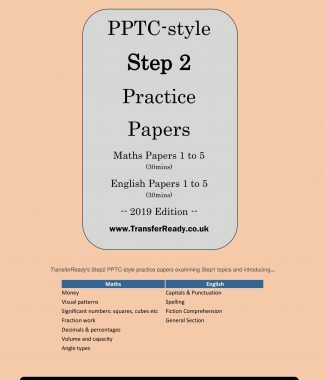 These Step3 papers will accurately test the full content of the PPTC syllabus while familiarising your child to the style and structure of the PPTC test. Our Step3 papers are full-syllabus 40 mins (Maths) and 45 mins (English) practice papers which look and feel just like the real thing. 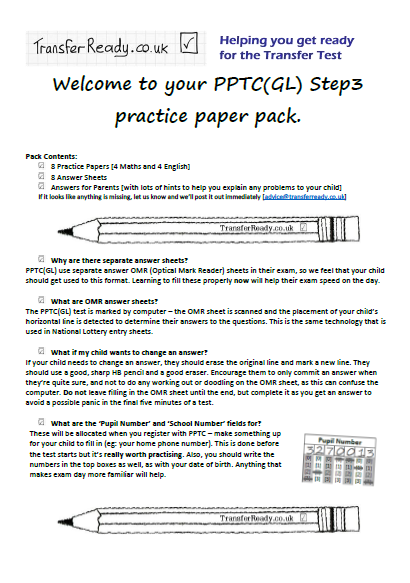 Each Step3 question has been carefully designed to prepare your child for a particular PPTC question. This methodology exposes the candidate to the widest possible variation of questions without ever examining material outside of the course. 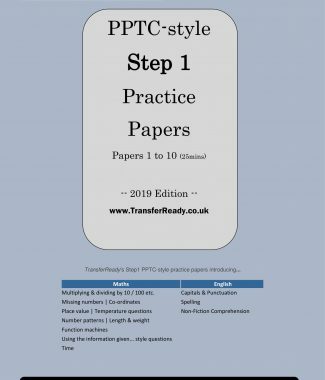 TransferReady’s PPTC(GL) practice papers are as close to the actual exam as you can get. Most primary schools introduce their practice tests in September and October of P7. Completing your PPTC preparation with the TransferReady Step3 papers will get you ready for that final stage – your child will be familiar with the content and style of every single question type without having seen them before meaning that the marks they get in their primary school ‘mock’ papers will be genuine.